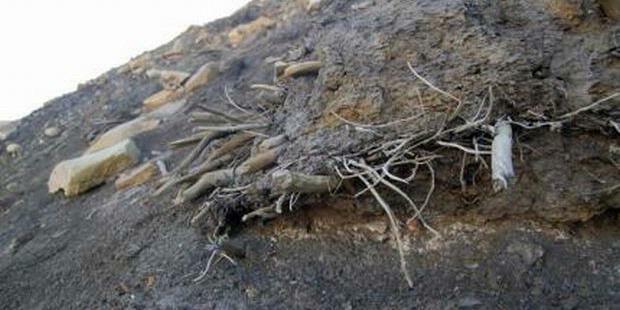 After some articles talking about Osama now I will discuss about the discovery of the ancient forest at the north pole. Primeval forest, complete with wood, leaves, and seeds, found in Arctic Canada in the area. Predicted Forest-old was surrounded by a glacier millions of years, no trees, except a few stunted trees bonsai-sized. The team found that forests after receiving reports from the rangers from Quittinirpaaq in Ellesmere Island National Park, one whose position is the most northerly mainland. Rangers had found the wood chips are considered derived from large trees and some logs of wood along a few feet. "The wood was scattered. It's hard to not step on it," said Joel Barker, environmental scientist from Ohio State University who is also leader of the study. If dug deeper, he says, will be more wood, leaves and seeds was found. The forest can be preserved because it was buried by a landslide and isolated from air and water. By studying the wood, leaves and seeds, the research team managed to find some tree species, among which are pine, fir, and birch. According to Barker, the number of species that are not many that show that the forest was on the verge of extinction. "The forest is approximately derived from ten million to two million years ago," said Barker. The researchers also measured the circumference of timber and found that the trees in the forest at least 75 years old when buried. Small tree rings show that tree growth is very slow. The present invention can be used to determine the condition of the world at the Earth's climate changed drastically. "This discovery is extraordinary. Wood millions of years old with a still very good condition would open many possibilities, "said Robert Blanchette, University of Minnesota pathologist. The team hopes to find the speed of climate change and its effects on plants. Scientists also want to know how the tree reacts to cooling of about 5 million years ago, when the greenhouse effect turns into an ice house effect. Global warming is happening lately is the opposite of what happened.